Purchase this product now and earn 140 Guru Coins! The Gurus product line offers the very purest high potency tinctures available on the market today. Using our previously mentioned all-natural extraction process. Our oils yield only the most pristine CBD Tincture concentrations ensuring our customers the confidence they have come to the right place. Our extensive selection of product concentrations will enable you to choose a product to meet your health requirements. 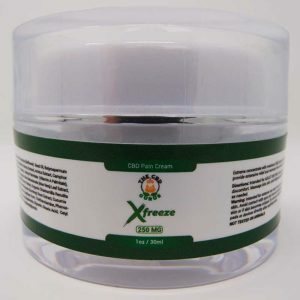 The concentrations available are 300mg, 600mg, 1000mg, 2000mg, 4000mg of THC free CBD oil. The 2000mg and 4000mg being our highest potency products for people with these considerations: Larger body size, tolerance of cannabidiol and severity of symptoms. We always recommendation that you start slowly with one or two drops over the course of two to three days to see how your body will react especially to our higher potency products. Place an order today for a tincture that fits your health goals and see how our CBD Tinctures can help improve the quality of your life!